Paris! Where exactly? Which part? The city has a hundred faces. Each with a mask. Literature everywhere keeps a steely eye on them. Fashion mirrors their reflections. A flutter of the eyelashes later, two streets behind, another light shines in the shadow of a carriage door. The city of letters is a drawing comprised of bridges and landmarks. « I don’t think that there is any other capital quite like it with not just neighbourhoods but islands, sometimes just two or three streets, a bit of a garden, a courtyard, islands that have their own established practices, their separateness, their group solidarity, their own special cats. » wrote the great dame of literature Colette (Paris, I love you!). This free-thinking writer became the perfect Parisian but she was not born here. She did not have Paris in her heart. The flamboyant resident of the Palais-Royal learned to love the city. Because towns and tiny lives proliferate in the big capital. 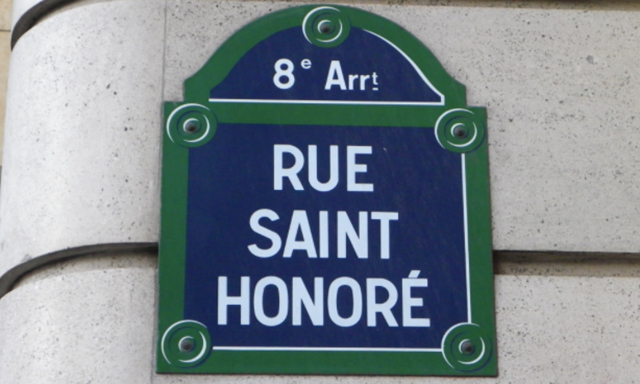 Rue Saint Honoré, from bedridden novelist to a musician who lost his head, everyone is on friendly terms. As for everyone else, they follow their freedom to the letter. Because « Paris is the main reading room in a library that crosses the Seine » (Walter Benjamin). That very same freedom that allows movie director Jacques Rivette to end the generic of his first movie “Paris belongs to us” by this quote from Charles Péguy: “Paris does not belong to anyone”.